Followership Principles as discussed in Mahabharata The Mahabharata discusses on complex subtlety of the four Purusharthas or the purpose of life consisting of Dharma(Right Principles), Artha(Prosperity), Kama(Enjoyment or Fulfillment) and Moksha(Freedom), as well as practical advice for those who pursue these four Purusharthas of life. Let's see one such less-known instance from the epic that has some practical advice for a servant who will work for the king (or in the contemporary sense, a person who will be working under a leader/manager). I call it the Followership Principles. 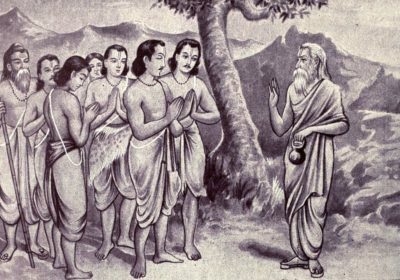 The Mahabharata discusses on complex subtlety of the four Purusharthas or the purpose of life consisting of Dharma(Right Principles), Artha(Prosperity), Kama(Enjoyment or Fulfillment) and Moksha(Freedom), as well as practical advice for those who pursue these four Purusharthas of life. Let’s see one such less-known instance from the epic that has some practical advice for a servant who will work for the king (or in the contemporary sense, a person who will be working under a leader/manager). I call it the Followership Principles.